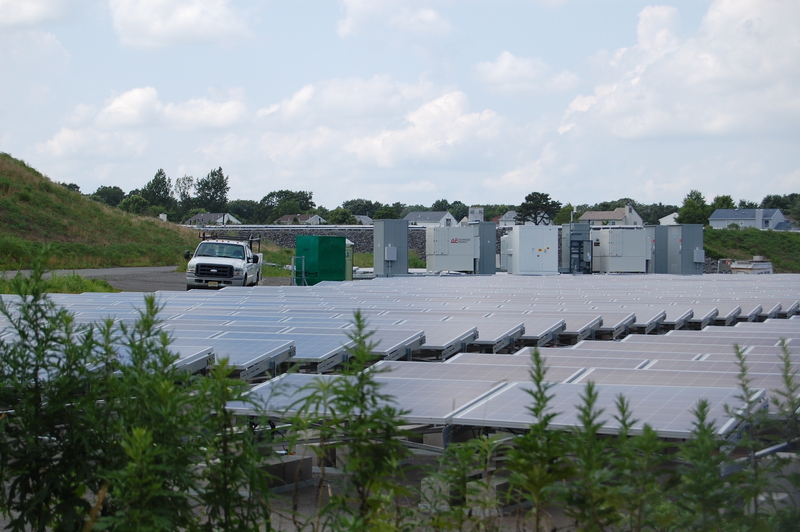 The Brick Township council this week is posed to take two steps toward the completion of the solar project at the former French’s Landfill site in the northern portion of the township. According to an agenda for a council meeting scheduled for Tuesday, the governing body will vote on a resolution appointing a special adviser for the project as well as vote, on second reading, on an ordinance granting Jersey Central Power & Light an easement at the site, which is located off Sally Ike Road. Mayor John Ducey has said the easement is required for the completion of the overall project to turn the former private – and then municipal – landfill into a solar field. Acacia Financial, of Marlton, won a contract to be the project’s special adviser. In 2012, the council voted in favor of issuing $34 million in bonds to fund the project, the debt service for which will be paid off by Standard Alternative, LLC, a North Jersey company that is overseeing the development of the site. Standard Alternative will pay off the bonds over a period of 15 years, after which the township will take ownership of the solar array. In the mean time, the township as well as the Brick Township Municipal Utilities Authority will receive discounted energy from the site and potentially generate revenue based on the energy derived from the site. The former landfill operated from the late 1940s to April 1979. The township purchased the site in the 1970s and was required by the federal government to remediate and cap the facility, which was ultimately declared a Superfund site. The details of the adviser appointment have not been revealed. The meeting will be held at the Normandy Beach Improvement Association, 541 Broad Ave., at 7 p.m. Tuesday, Aug. 12.